The global nuclear security enterprise is at a critical crossroads. While the worldwide use of nuclear and radioactive materials has grown, the issue of nuclear security has all but faded from the U.S. national conversation. As these materials become more widespread, they will be vulnerable to criminal and terrorist organizations without sufficient security efforts. This report reveals a concerning loss of congressional leadership and interest in critical efforts to prevent nuclear terrorism. While the threat grows more complex, U.S. funding, oversight, and international cooperation to secure nuclear and radiological materials has diminished. 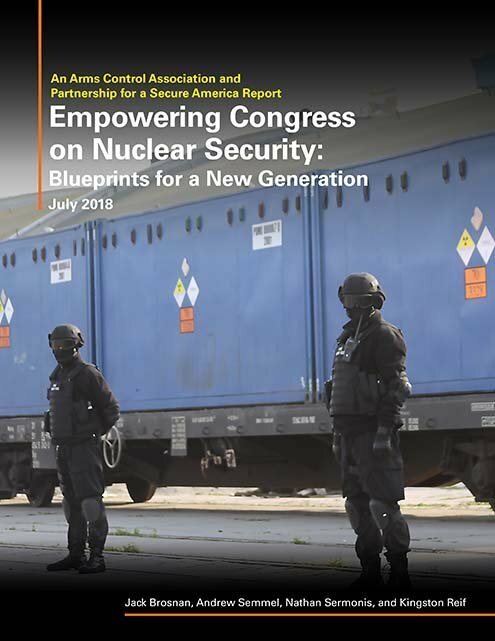 By analyzing historic bipartisan initiatives and current congressional staff attitudes on nuclear security, this report offers an important blueprint to revitalize U.S. leadership through Capitol Hill. Providing recommended action items and effective strategies for engaging Congress, the report is a useful tool for both policymakers and educators.